At J.S. 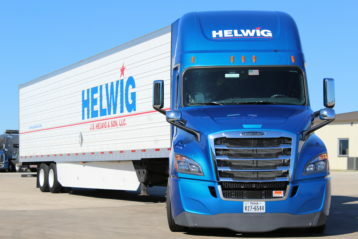 Helwig & Son, we understand the importance of top-of-the-line equipment for both drivers and customers. When selecting a freight carrier, customers want to know the company has equipment that is ready to hit the road with a low risk of breakdowns that delay pickups and deliveries. We also understand that being a professional CDL driver is not easy. J.S. 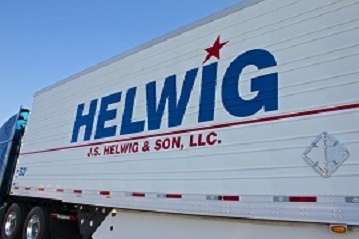 Helwig & Son strives to lessen the stress by offering late model tractors and trailers with the most advanced technology available in freight carriers today. As of today, we are operating a fleet of approximately 300 tractors and 500 refrigerated trailers. All of our trucks are equipped with a number of options and technology to help provide route planning, fuel planning, uninterrupted communication and safety. With our top-of-the-line tractors and trailers powered by the latest technology, J.S. 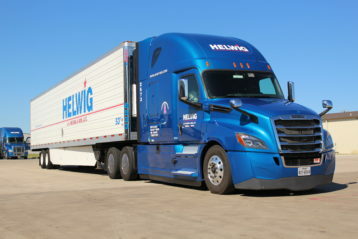 Helwig & Son is confident we lead the way in freight carriers.